Today at the grocery store I saw a little girl walk through every isle at least three times. It reminded me of when my cousin and I were 8. We loved to play hide and seek in the clothing racks of department stores. One day we got so caught up in our shenanigans that we completely ran off and lost sight of our parents. We started panicking (mainly for the fun of it and the adrenaline rush). Do we go find our parent or do we stay put and hope they find us? >>If you have a rice cooker, simply add all ingredients (but the last two) and set it to cook. Otherwise, add ingredients to a pot and bring to a boil. Reduce heat to low and let simmer until the quinoa is cooked or the milk is gone (about 20 minutes). 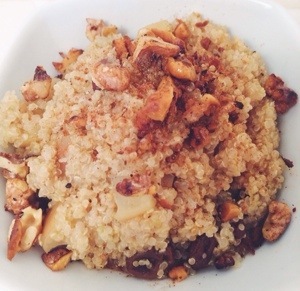 While the quinoa is cooking, toast 2 tbsp walnuts in 1 tsp coconut oil. Add agave or sugar to give them a glaze. 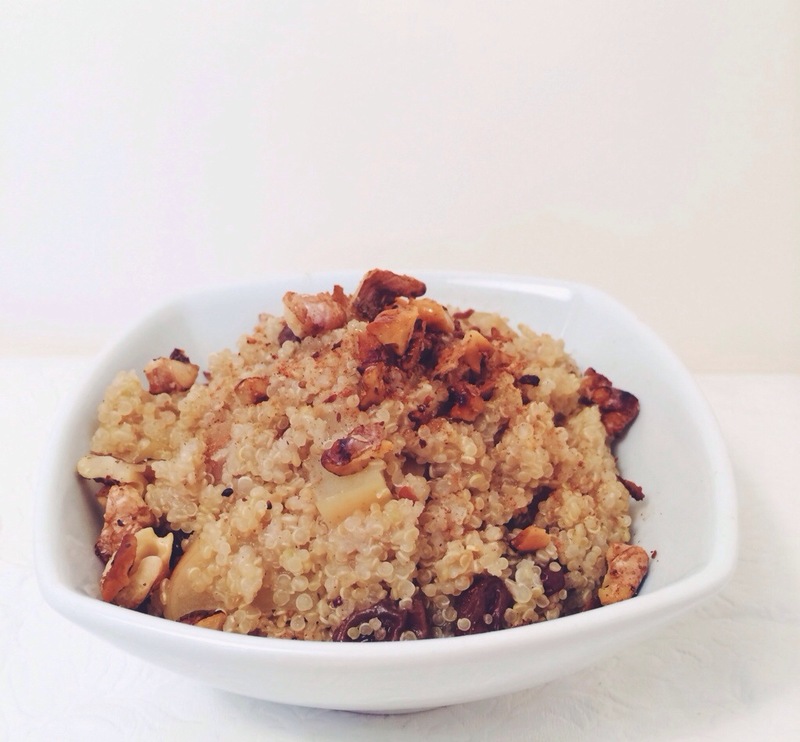 When everything is ready, top your cooked quinoa with the toasted nuts. 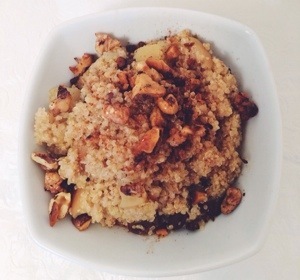 Serve with more agave, cinnamon, raisins, apples, nuts as you wish. Do you have any funny childhood stories of getting lost to share?